While this may be your first time digging deeper into beard styles without a mustache, they have in fact been around for a really long time. This is not just a young man’s game, many business professionals are sporting this cool yet sophisticated look because it helps to distinguish them from the crowd. 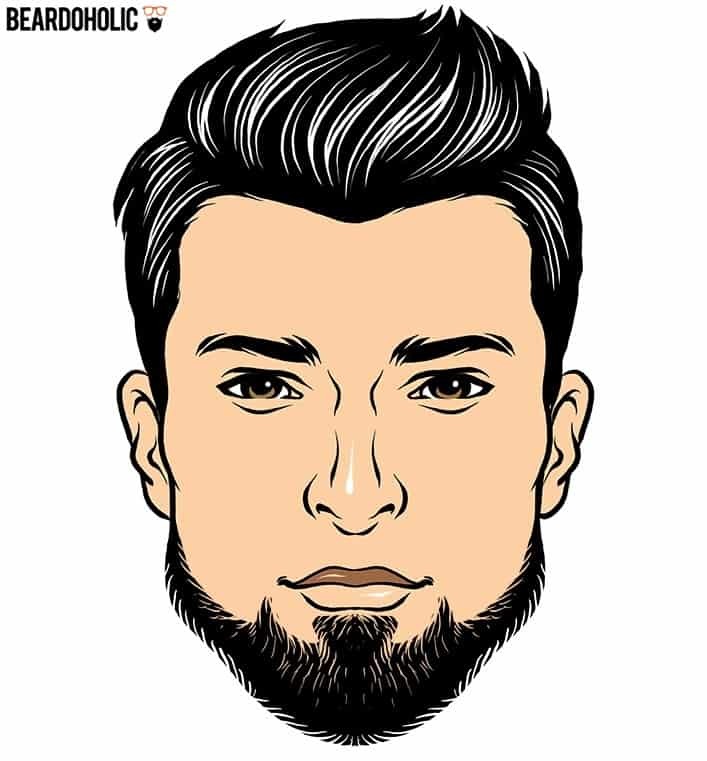 Similar to the dozens of shorter and longer beard styles, by trimming off the mustache you can instantly create one of several dozen attractive beard styles that you can experiment with. Beards with no mustache are not a new thing. Men from all around the world have been growing them all throughout history. Today, even some men who have a full beard prefer not to grow a mustache, although most men think that beard and mustache can’t go one without the other. A full beard without mustache or neck hairs is often addressed as a lion’s mane. The only answer to the question of whether you should wear facial hair without the mustache or not is that it all depends on what exactly you want to achieve. If you like beards with no mustache, and you think you can pull off this look well, just go for it. 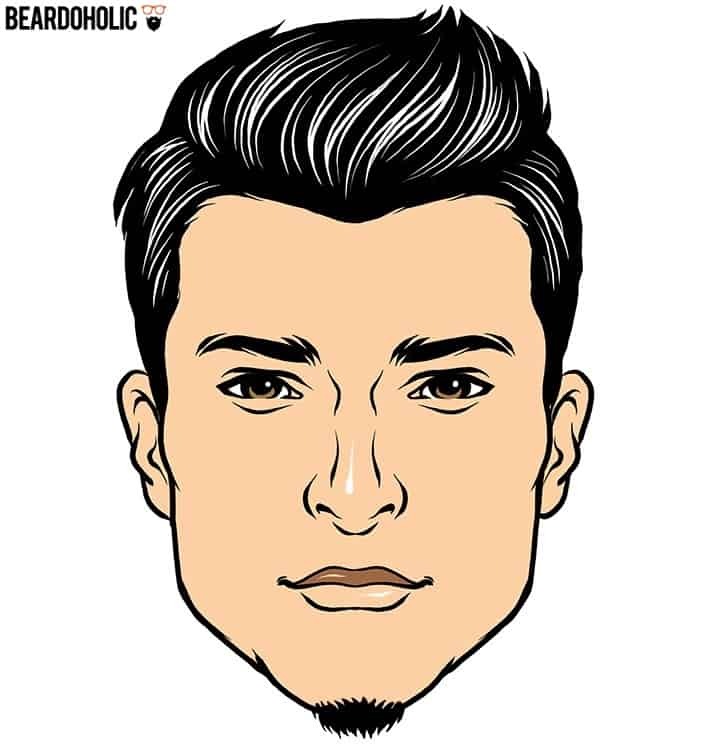 This facial hair type is ideal if you’re trying to make your chin look broader. The only thing you should care about is whether this beard style flatters your facial features and the shape of your face. 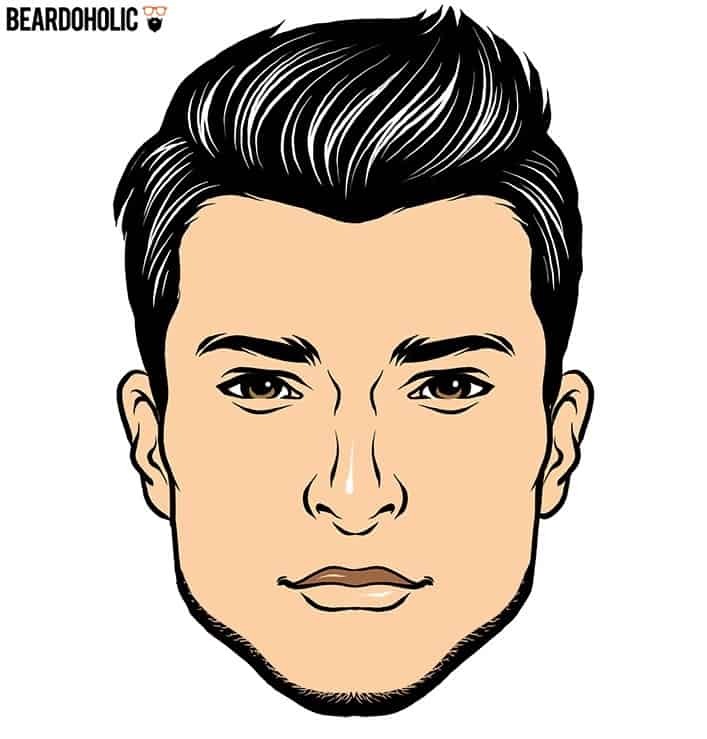 Going with a beard and no mustache is perfect for guys with a diamond-shaped or elongated face because it broadens your chin base and balances out your features. So sit back as we dig deep and discuss these 19 impressive beard styles without mustache that will transform your face from average to manly overnight. Probably the easiest of all the beard styles to maintain without a mustache because it is nothing more than a landing strip from your bottom lip to your chin. The little area can be wide or thin, square or triangular, shaped differently each month or allowed to really grow out and become the focal point of the face. The only real maintenance is having to keep the rest of the face completely shaven so that the soul patch stands out on your face. This style loses its punch when there is a stubble nearby. If you are looking for beard styles without the mustache that really makes a lasting impression, the chinstrap is one of those styles that really holds its own without any help from a mustache. This is also a great beard style choice for guys with a patchy beard hair because you can sculpt it around those problem areas. This style is a perfect alternative to the work involved in growing a full beard. This beard basically runs the sides of your face down to the chin. Variations allow growing the hairs at the bottom of the chin too. The chin curtain is not only easy to grow, but it also provides the flexibility to maintain it in a number of ways. 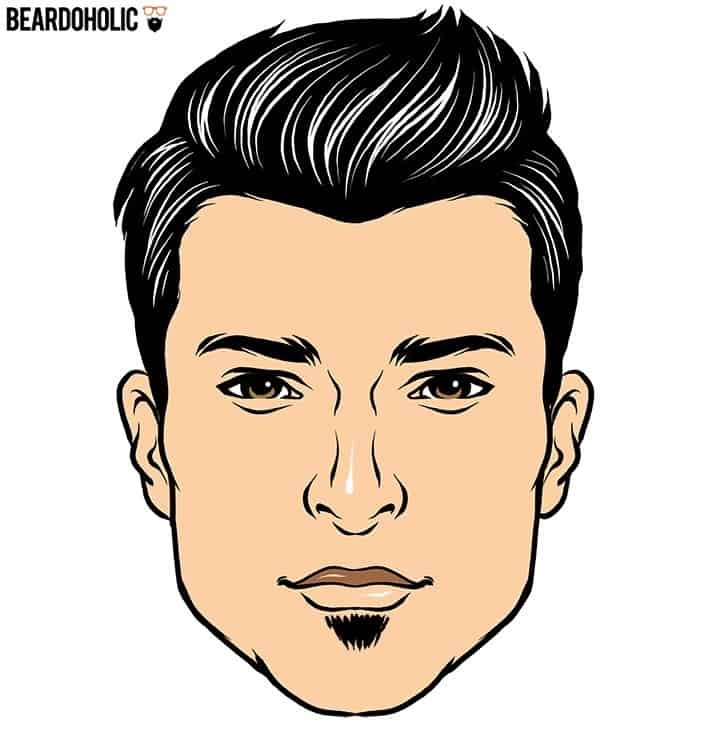 Similar to a curtain hanging down from your jawline, a beard can be trimmed right up to the soul patch. The only real requirement for this style is that the hair above the upper lip must be shaved. Trimming on a regular basis will help to maintain the look. Keeping facial hair off the cheeks will help to bring out the appeal of the chin curtain. While technically not a beard, the mutton chops are a throwback to one of the more daring facial hair styles dating back several decades. Those who allow the mutton chops to really grow down the side of their face can really transform their look and do something most men are afraid to try. 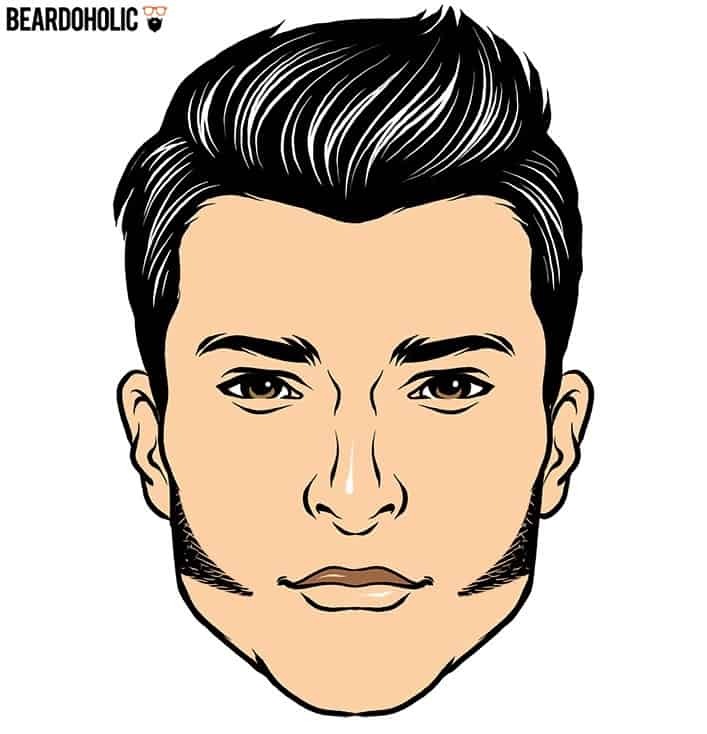 Thick manly mutton chops can be shaped to follow the jawline and give the rounded face more prominence. To maintain the appeal of the mutton chops, the upper lip and chin area must be shaved regularly so that stubble does not grow and take away from the look. The neat chinstrap is really a work of art if you can pull it off. The challenge with this beard style is that you need to grow out the beard to the right length where you can brush and shape the beard, but not too long. Once the hair is the ideal length, the trimming needs to be done frequently to keep the look, while shaving the cheeks and mustache region. This needs to be done daily so that stubble does not take away from the overall appearance. Most men are not up to the task. However, if you pull it off, you will instantly acquire your man card. While we explained earlier that the neat chinstrap requires some serious maintenance, there are still guys who feel this is not challenging enough. Therefore, we introduce the chinstrap and goatee combination. Be careful, this is not the beard style for the average man. It will require a Herculean effort to maintain, but the end result is staggering. 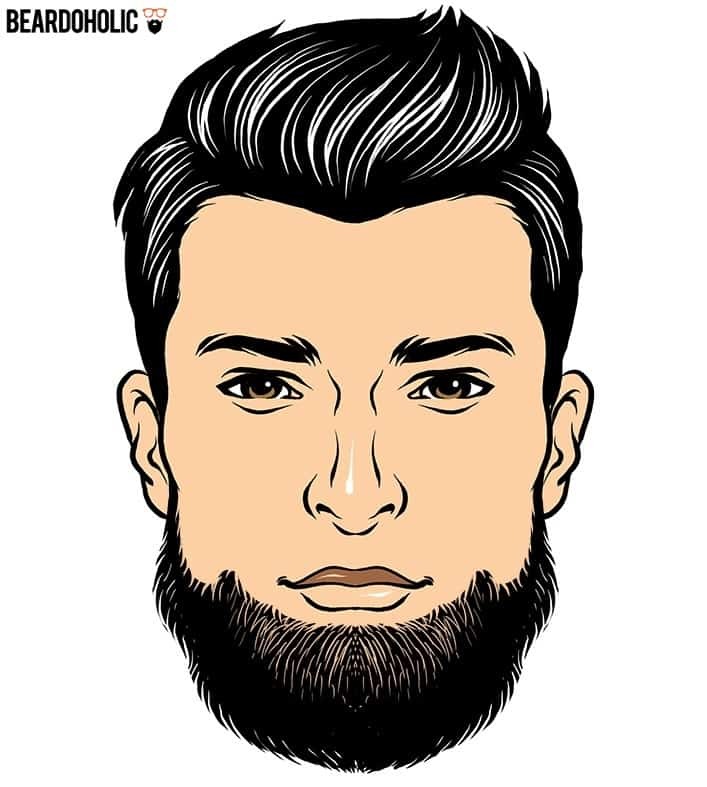 If you feel like you are up to the challenge, and daily trimming doesn’t scare you, this is one of those fashionable beard styles that will pay off huge dividends. 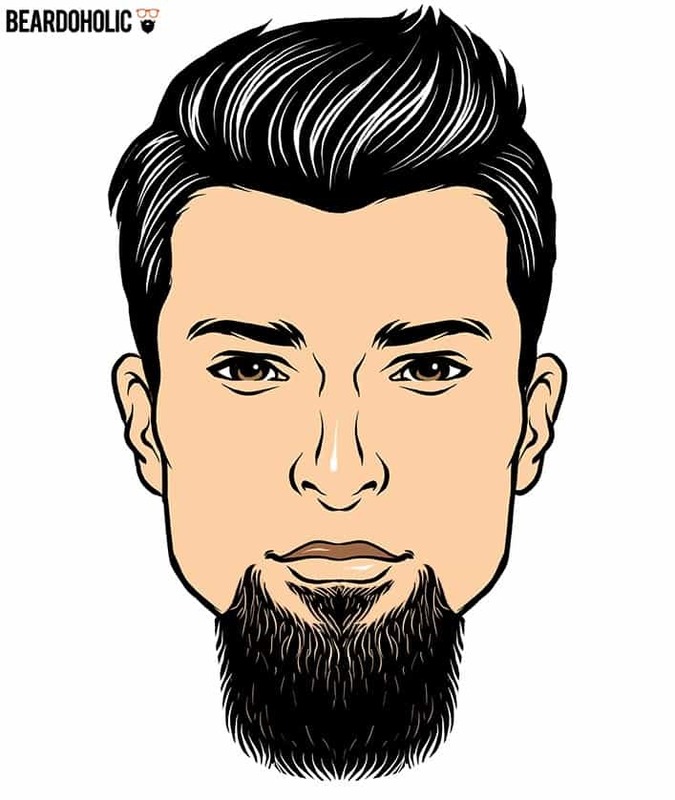 Although not a traditional goatee, the hair needs to begin at the sides of the mouth to the chin, then along the jawline. The Lincoln beard is everything you thought it would be. Popularized by one of our most beloved Presidents, this beard instantly gives you prestige, power, and looks really cool if you can pull it off. Never make the mistake of disappointing our forefathers by trying to pull off this look the lazy way. There is some serious effort required to get the look of Lincoln, but imagine how cool you will look in a T-shirt and skinny jeans or a business suit. The chin curtain needs to be trimmed carefully so that the whole beard is of the exact same length. There shouldn’t be hair stubble under the nose, under the lips, or cheeks. The long goatee is a fun combination of a small region of facial hair combined with the creativity to go as long as you want. The only work required is keeping the mustache, cheeks, and jawline regions free of stubble. After that, you can sculpt the goatee from the side of the mouth as low as you can go. The long goatee will need minimal trimming to keep the bottom region straight, but you will certainly stand out from other mere mortals in a crowd. The big misconception about the chin puff is that it is the easiest of beard styles with no mustache. Do not let that small little patch of hair under the chin fool you. The chin puff can be as tiny or as large as you like, but moderate trimming will be required to keep it at a precise length. The reason why there is so much work involved is that even if only a small area of your face is occupied by facial hair, you have to shave the rest of the face, neck, mustache and under the lip to maintain the appeal of the puff. The full chin curtain gives guys the best of both worlds. Here you can grow facial hair on the majority of your face with very little maintenance. To pull off this look, the beard on the sides of the face along the jawline are left at a moderate length while the facial hair under the chin can grow as wild as you can handle. Regular trimming with adjustable beard trimmer along the cheeks and mustache region help to give the full chin curtain its max appeal. This is one beard style that separates the men from the boys. Do not try to grow out the long beard without the mustache unless you have impressive hair follicles or you could end up hurting yourself. If you want to envision what the long beard looks like, close your eyes and think Duck Dynasty. Every male on that show has some form of the long beard. The only real requirement is shaving the mustache. Minimal trimming of the cheeks and mustache region and daily use of beard oil are required. Guys who need to keep their jobs want a little control over their beards so they tend to opt for the medium beard over the long beard. Trimming is allowed to keep things in order, and with the right touch you could easily pull off the business casual look with minimal effort. Keep the neck, cheeks, and mustache area stubble-free. The only real maintenance is trimming the entire beard to the same length from jawline to the chin. Both sides shaved beard is a twist on the mutton chops style. From a distance, it looks exactly like the mutton chops except that you will be trimming the beard down to a very short height. The mustache, chin, neck, and cheeks will be shaved and the side beard will be trimmed. This is a serious commitment that results in huge attention from anyone within eyeshot. Sculpt the sides to any style, and just be sure to trim on a daily basis or you can go from side shaved to mutton-chop overnight. 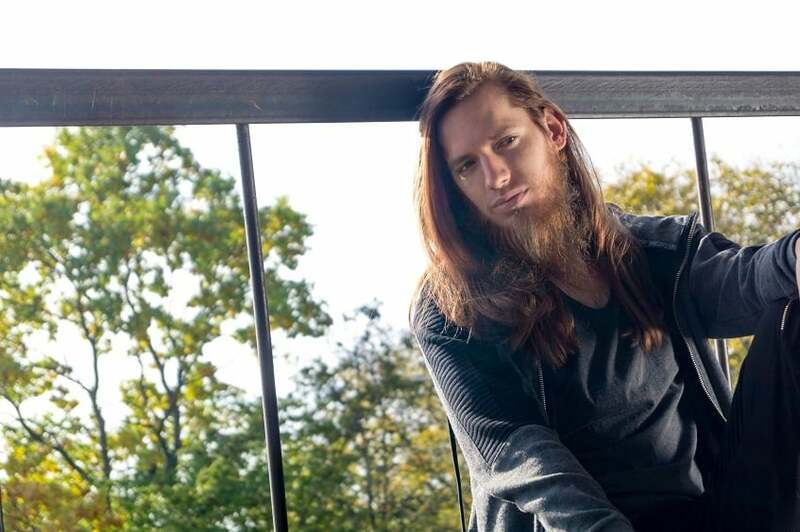 The long Amish beard is everything you could imagine, and a lazy men’s dream beard. The Amish beard gets its name from the Pennsylvania communities where men have long unkempt beards with no mustaches. The beards are allowed to grow out from the sideburns to the chin and everywhere in between. Length is not an issue here, in fact, the longer you beard, the more you nailed this beard style. Not ideal for work environments or in industries where appearance needs to be tidy. 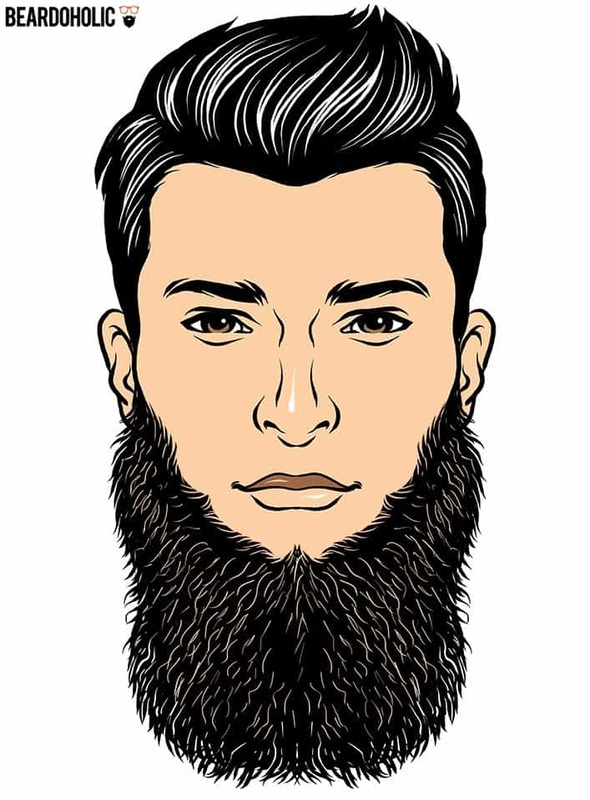 Not to be confused with the Amish beard, the Islamic beard has a few unique features that do require a very skilled and steady hand. 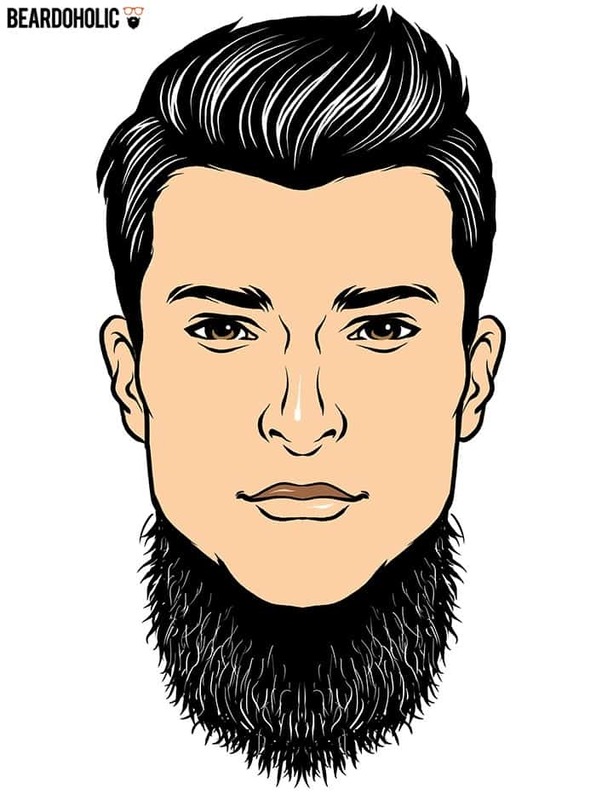 First, similar to the Amish beard, the Islamic beard grows out from the side to the chin, and all regions in between. What makes this beard style unique is the trimming and shaving pattern. To make this beard style work, the shape of the top of the beard needs to resemble the letter “U”. It takes a close razor cut to make the line in a rounded shape, but all that work will pay off. The bottom must be trimmed too, in an elongated “U” shape. The outlined full beard is a beard style that is going to take practice to master but it’s worth the ride. This fun style resembles the full beard that is carefully sculpted to look similar in all location. The beard starts at the sides and goes down and below the chin, but both top and bottom of the beard lines are razor sharp, straight, and precise. From a side view, the beard resembles a thick bold letter “L” and does require daily trimming to keep stubble from diminishing your appearance. Not to be mistaken for the instantly recognizable mutton chops, the retro sideburns are a smaller version of the classics. Sideburns were all the rage in the 60s and 70s, and only real men can bring them back in style without concerning over trends or gasps from the crowd. The real work is shaving the rest of the face so those thick and luxurious sideburns come shining through. The lazy man beard style with no mustache has made it to our list. The only thing required to pull off the medium stubble beard is to shave the mustache and trim the rest every day or so. Running your precision trimmer over the rest of the face will maintain the stubble look so it appears to be the same height each day. Miss a day, oh well, that means your stubble is slightly longer and can be fixed tomorrow. This is a beard style many guys can master in just a few seconds. Probably the most fared hipster beard style on our list is the neckbeard. The neckbeard requires shaving the entire face from the jawline and up. Everything under the jawline and on the neck simply grows out wildly to the epic proportions. 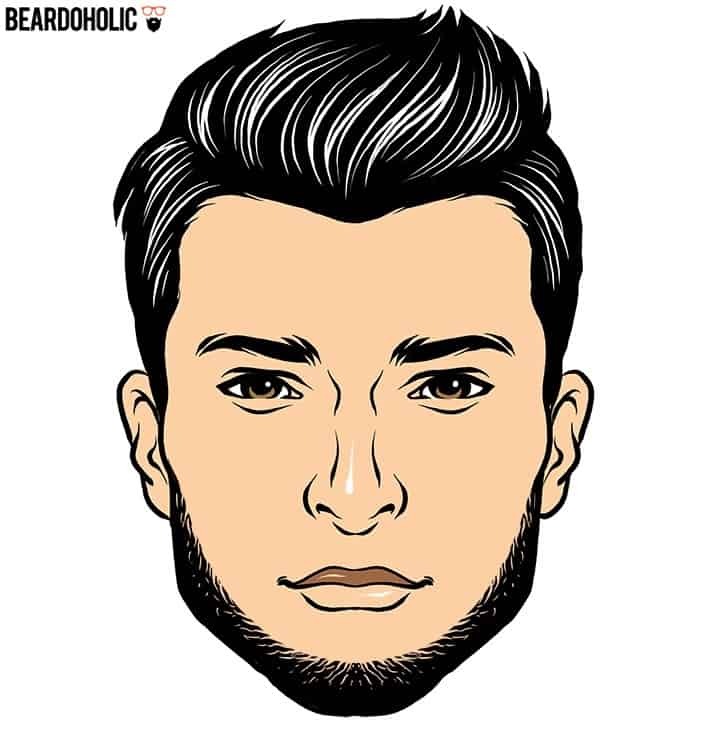 The jawline needs to be trimmed so that no stubble appears because this allows the neckbeard to command the attention it deserves. Be prepared for whispers and glares from those mere mortals that dream to take on the challenge you have undertaken. So now you know all about the 19 impressive beard styles without the mustache. Start shaving off your own mustache and experiment with a few of these styles until you find one that matches your face, your needs, and your personality. If you maybe want to keep your staches then check out these mustache styles. One thing is for sure, beard with no mustache makes both, women and men turn their heads on the street. The first reason for growing a mustache-less beard is apparent – you just want to grow it. However, there may be some other possible reasons behind men’s decision to rock this facial hair style. What is a better way to express your uniqueness than sporting a beard style that rarely any man dares to wear? Beard without the mustache is not one of seven world wonders, but it’s definitely a unique beard style that draws attention and makes you stand out from the crowd. Maybe you like having a mustache, but you feel sick and tired of trying to trim them and cutting more than intended every time. They are definitely easier to grow than a beard, but mustaches are also harder to trim and shape. Trimming a mustache requires a precision which you may not be able to perform. On the other hand, beard requires more time from your part in maintaining it, but it’s a bit easier making a precise cut while trimming it. The solution is simple here. Instead of losing time in trying to get trimming of your mustache right, shave them off and try growing just a beard. Every man has made this error at least once and trimmed his mustache more than planned. In dealing with this everyday grooming mistake, you have two options – feeling pathetic and ending up in shaving off the whole beard or shaving off just the mustache. Making a mistake while shaping your mustache is not the reason to get rid of your precious facial hair. This is your opportunity to try a new, unique beard style. If you don’t like your beard without them, there is always the option of letting them grow in again. In the meantime, allow yourself to experiment with your facial hair look. There are a lot of beard styles out there, and the fact is that some of them look better with no mustache. Just some of those styles are chin curtain and soul patch. Letting a mustache grow would significantly change the style, in this case, making it less impressive. If a beard style you are aiming for is among beard styles that look better without a mustache, there is a good reason for you to remove them. When talking about beard styles that have no mustache, most people will often associate them with Amish beards. 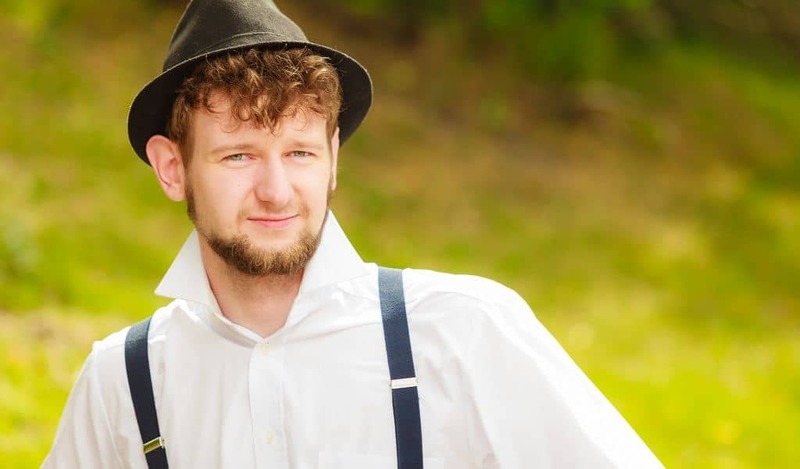 Amish men start growing their facial hair when they get married, and they never shave it again. Those who are not familiar with this practice are mostly interested to know why Amishes grow beards without mustache. To explain this, you should realize that Amish people are pacifists. For them, a mustache symbolizes the military, and by keeping their facial hair mustache-less, they want to show that they are not connected to anything that has to do with the military. Another reason why this group of people shaves their mustache is that they think that mustache and vanity are related. To avoid this, they cut their mustache and avoid the use of beard waxes. The answer is simple. To grow a beard with no mustache, you don’t need any special skills or efforts. 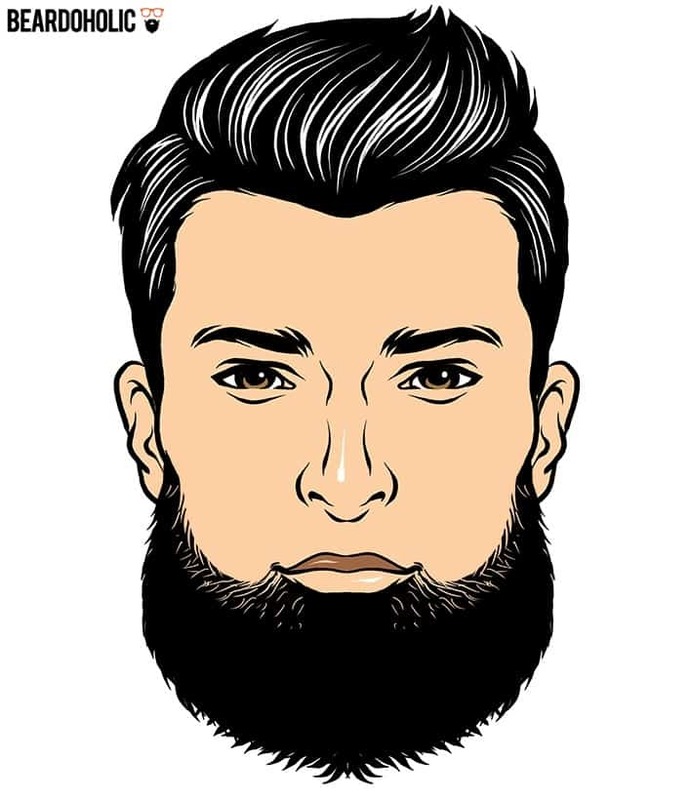 The only thing you need is patience and commitment to the beard growth process, however, that’s something you need no matter the beard style you are trying to achieve. Shaving the mustache on a daily basis is the only difference when growing a beard with no mustache, and it doesn’t take a lot of time. Maybe you won’t be spending much time shaving the mustache, but you will have to use that time in taking care of your beard. 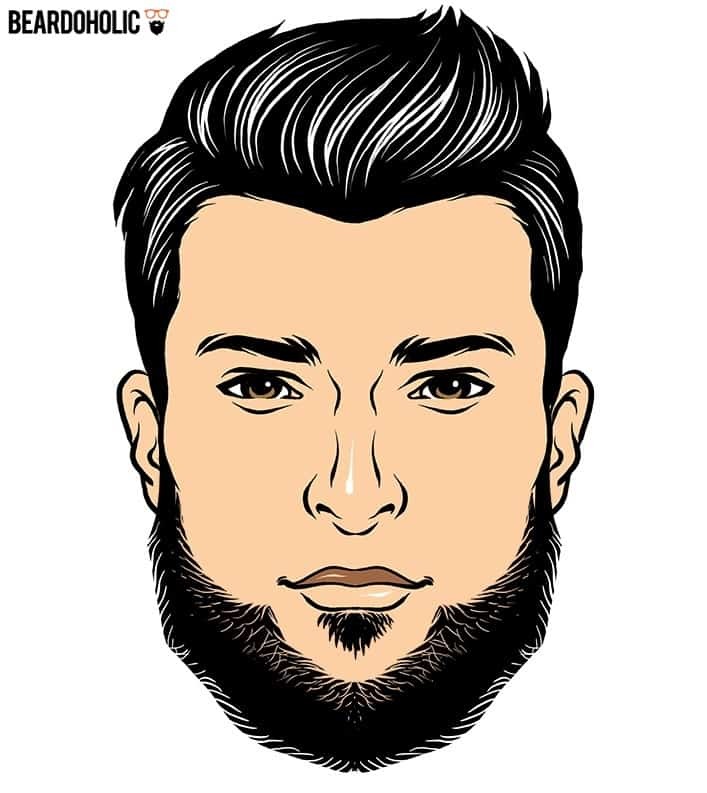 Leaving your beard to grow freely for 4 to 6 weeks is the first step in growing not only the facial hair without a mustache but also any other beard style. Until passing the four-week mark, sustain from trimming your beard, although you should shave your mustache regularly if you are growing one of the beard styles that don’t require the mustache. To enhance the speed of your beard growth, make sure you are eating healthy foods known to boost facial hair growth. That would be food that contains proteins, minerals, vitamins, and iron. Foods like eggs, chicken, and other low-fat groceries have high levels of proteins which makes them ideal for making your beard grow healthier and stronger. Facial hair with lack of oxygen tends to be weaker, and that’s why you need to strengthen it somehow. Doing that by eating healthy foods rich in iron is the best way to do so. Beans and legumes, red meat and other dark green vegetables are full of iron, and by eating them regularly, you are helping your facial hair grow faster and healthier. Beard without a mustache also requires proper care. Keeping it softer, free from beard itching and beardruff is easier if you start applying premium beard oil from the first day. Don’t neglect the hygiene of your beard, and make sure you are washing and keeping it clean every day. Combing and brushing a beard are also things you need to do to help detangle and style your facial hair. Before you even think about trimming your facial hair, let it grow to a desirable length. The process of trimming the beard with no mustache is the same as the process of trimming any other type of beard style. A steady hand and a lot of patience are inevitable in this process. Some of the facial hair styles that don’t require mustache need more time to be trimmed to perfection than the others. This is especially applicable for chin straps and some types of goatees. Before you start cutting the hairs, remove any dust that could have caught on your beard by washing it with warm water. The next step is gently combing your beard to avoid that it gets curly. Straight facial hair is easier to trim. Combing should be performed several times a day. Use a precise facial hair trimmer set to the desired length to outline the beard. Once done, shave off all the mustache hairs. There you go, you’ve got a beard without a mustache. Cleaning and oiling your beard daily is critical no matter the beard style you are sporting. In case you are wearing one of the beards with no mustache at all, this becomes even more important. Keep you mustache under control by shaving them often. Your cheek line is something you need to control too. If you don’t do it, they will become bushy, making the sides of your face looking wider. For creating a precise cheek line, beard shaper will do the trick. To make your beard softer, you will need some good beard softener. As usual, the best solution that has a lot of benefits is beard oil. 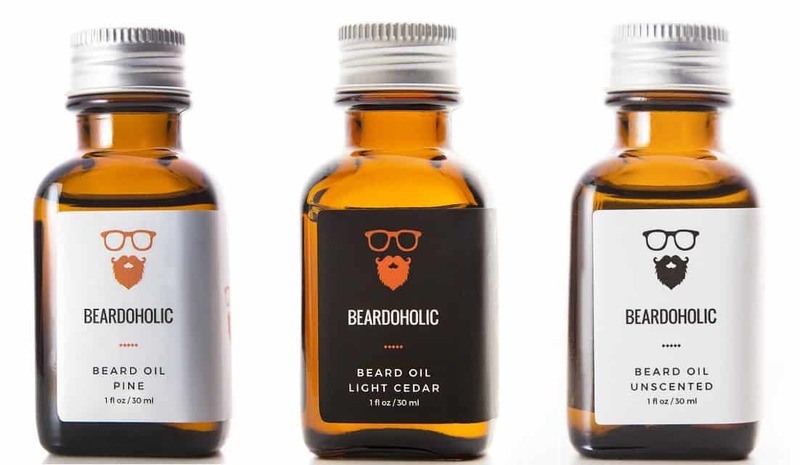 Try finding a beard oil that is naturally based. Natural ingredients are healthier for your facial hair and skin underneath. One thing that is often overlooked when choosing a beard oil is the smell. Your beard is right under your nose, and you will be sensing the smell of the oil the whole day. Now you probably realize why you should go for a beard oil whose scent is pleasant to you. If you are not a fan of any scent in particular, maybe an unscented beard oil is something you should look more into. Another thing you need to do for a strong beard with no mustache is making sure you run a beard brush over your beard on a daily basis. Boar bristle beard brush is of the best quality, and it has more benefits to the health of your facial hair than any other beard brush. These beneficial properties of boar hair beard brushes are often overlooked, so a lot of men get surprised when they use it for the first time. One of its many benefits is the efficiency in detangling facial hairs close to the skin. The result is a beard that appears half an inch longer. Boar hairs help in bringing out all the facial hairs and makes your beard even. As an added bonus, these bristles draw your skin’s natural oil from the scalp along the hair shafts. This is very important in keeping your facial hair clean, healthy and protected. Photos from: robrye © 123RF.com and Anetlanda / depositphotos.com. IMHO, aside from sideburns, facial hair without a moustache just doesn’t look good. Somehow a moustache is an even more definitive male marker than a beard and, without it, a huge part of the package is missing.